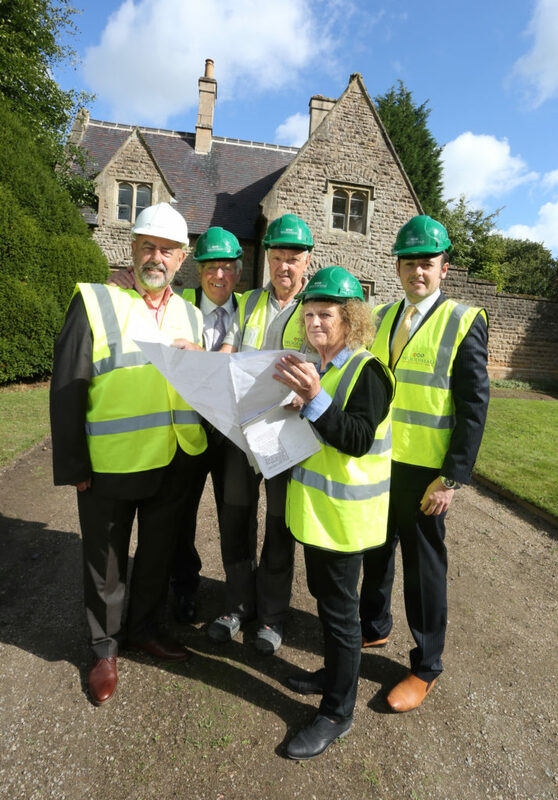 Historic cottages that have stood empty for a decade are being brought back to life in the beautiful grounds of Newstead Abbey, former home to poet Lord Byron. The expert heritage team at empa partner, Robert Woodhead is working to restore two Grade II listed properties for Nottingham City Council. The £238,000 project will help to boost tourism, increasing visitors from across the region and further afield. Once complete, Gardeners Cottage and Stable Cottage will be fully refurbished to the highest standards for visitors and holiday makers and will be available as part of a wedding package for brides and grooms. Cllr Dave Trimble, portfolio holder for Leisure and Culture from Nottingham City Council said he was thrilled to see that the buildings will soon be put to good use. The 19th Century stone buildings have been sitting empty for a decade and require in-depth repairs, as well as sensitive refurbishment throughout. Robert Woodhead will also be repairing a stone-walled area to create a private courtyard, painstaking work that the firm has years of experience in delivering. Mark Maisey, team leader at Robert Woodhead said heritage projects like this one are a pleasure to work on.